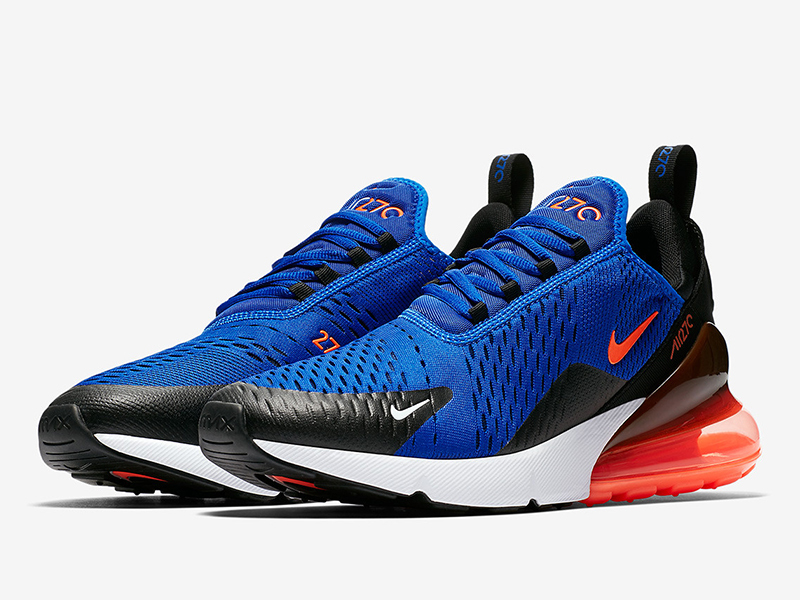 After announcing the release of the women’s exclusive colorways, Nike Sportswear brings the Racer Blue pack which has an Air Max 270 for men. 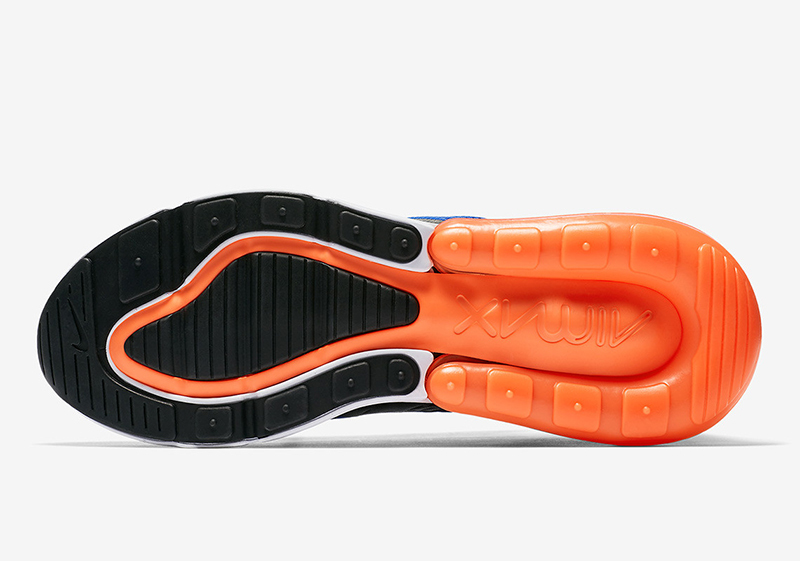 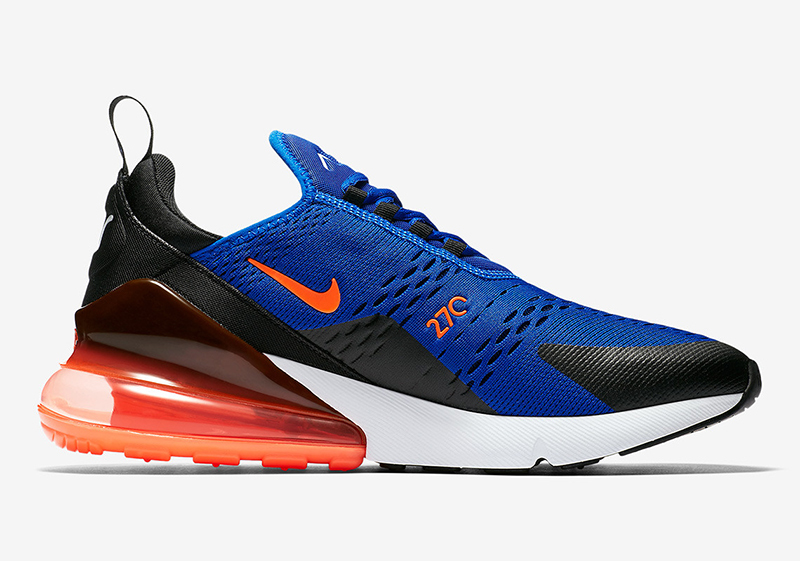 At first glance, you could say that it’s the “Knicks” colorway for the 270 as it uses a Racer Blue upper with Hyper Crimson accents that leans more towards being an orange hue. 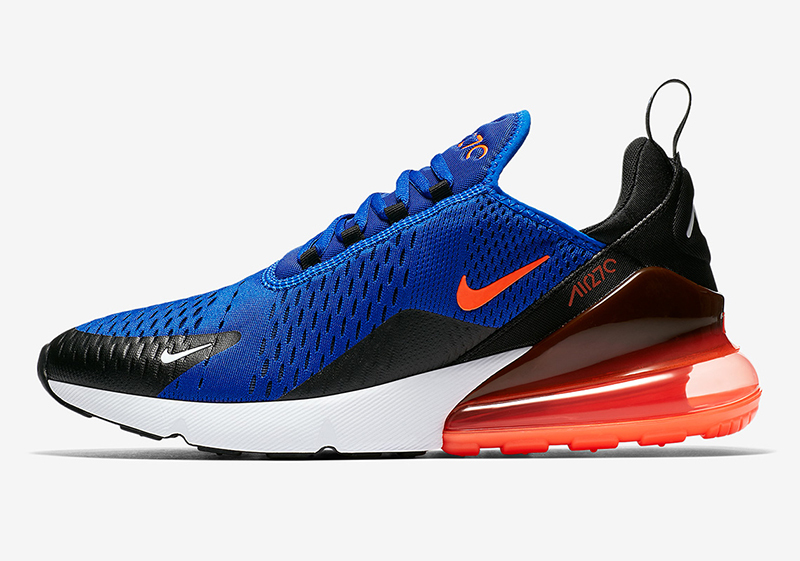 This Air Max 270 is part of a bigger pack that includes the Air Huarache Drift BR, Air Vapormax Flyknit 2, the Dualtone Racer and Duel Racer (more on the rest of the pack later). 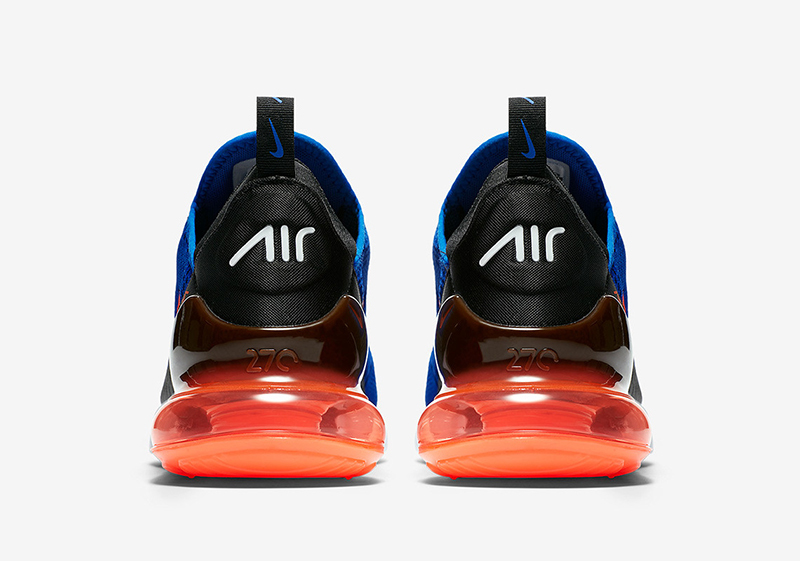 Capital is releasing the Air Max 270 “Racer Blue” today alongside the rest of the Racer Blue pack at select stores. 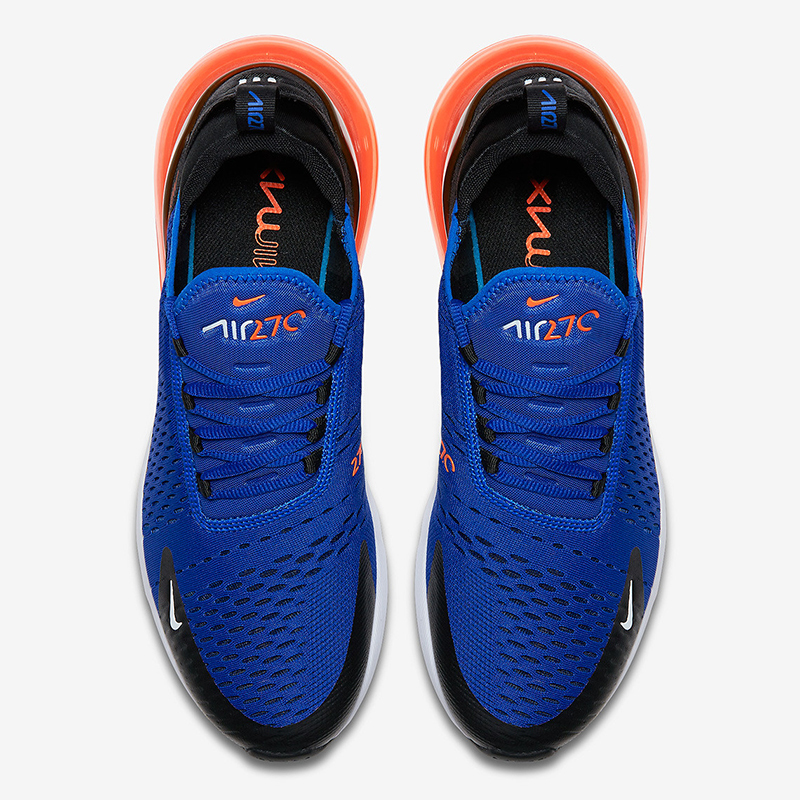 The Air Max 270 retails for Php 7,645 and is now available at their UPTC, Trinoma, Uptown, and Glorietta branches.